“A promise is a promise” is what Ratan Tata said while proudly unveiling the small car Nano at the 2008 Delhi Auto Expo and announcing its affordable price tag of Rs. 1 lakh. It is of course a different matter that Nano’s performance did not match up to the frenzy it stirred up then, inviting relentless criticism from the global media. Now comes the issue of choosing a successor to Ratan Tata—a successor to head the Tata’s $83-billion conglomerate that has interests in a wide range of businesses from salt to software, with a total revenue of more than $30 billion, of which more than 60% is from overseas—when he retires in December 2012. 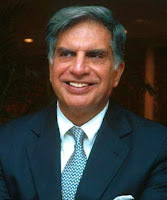 Here too, Ratan Tata, who launched brave changes in the 143-year-old group to metamorphose it into a true global corporate in his two decades of stewardship, initiated a still bolder move: appointed a selection committee to identify a suitable candidate to be his successor well before he retired so as to ensure a smooth succession. And he promised not to interfere with the committee’s proceedings and to honor its recommendations. 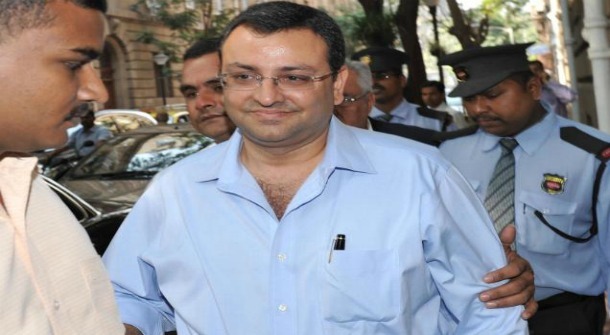 Finally, the search-committee has come up with a choice: 43-year-old Cyrus P Mistry, an unknown commodity outside the Shapoorji Pallonji group, has been chosen as the successor to Ratan Tata at Tata Sons, the holding company of the Tata conglomerate. And pat came a circular-letter from the group’s Chairman Ratan Tata, requesting individual company heads to extend the same support, which they have been giving him, to Cyrus Mistry who has been chosen as the Deputy Chairman of Tata Sons and ultimately to succeed him (Ratan Tata) when he retires in December 2012. This process-driven selection of Cyrus Mistry, which took 18 sittings for the selection committee, is in itself a laudable achievement of Ratan Tata and his Board, for it has set a new trend in motion—a trend much desired in India Inc, that too, when the economy is in such a great transition. And to separate management from shareholding control, that too, in a country like India, is no mean achievement. Indeed, Ratan Tata has paved a new way for corporate leadership in India. This whole exercise is yet another feather in the cap of Ratan tata. Ratan Tata has thus once again proved that he is willing to make bold calls: be it the acquisition of Corus for a jaw-dropping amount of $12 billion or of Jaguar Land Rover for $2 billion, or the launching of a passenger car in 1998, for that matter shifting of the manufacturing base of Nano from Bengal to Gujarat, all at a short notice, and unveiling the Nano car at the promised price of Rs. 1 lakh in 2008, Ratan Tata is there ready to take the risk. His true leadership shone in managing the risks that the group took upon itself and turning them into opportunities to improve the profits at the group companies. Ratan Tata has stood for certain values ever since he took up the reins of the group from the legendry JRD and worked silently but resolutely towards their realization. He has indeed brought many dramatic changes at the Bombay House due to which the size of the group’s businesses has changed tremendously over the years. Young leadership has been ushered in to head some of the important companies of the group. Ratan Tata, indeed, leaves behind a unique legacy. And all that his chosen successor, Cyrus Mistry, has to do is, to carry forward what his predecessor said once: “One hundred years from now, I expect the Tatas to be much bigger than it is now.” And at 43, he has all the time in the world to help the group spread its wings across the globe and make it a true multinational from India. 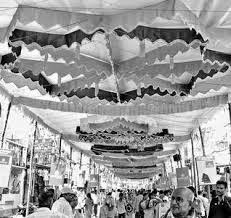 The seeds have already been sown by Ratan; it is for Mistry to harvest its fruits—harvest with the same dignity and gravitas with which Ratan sowed them.